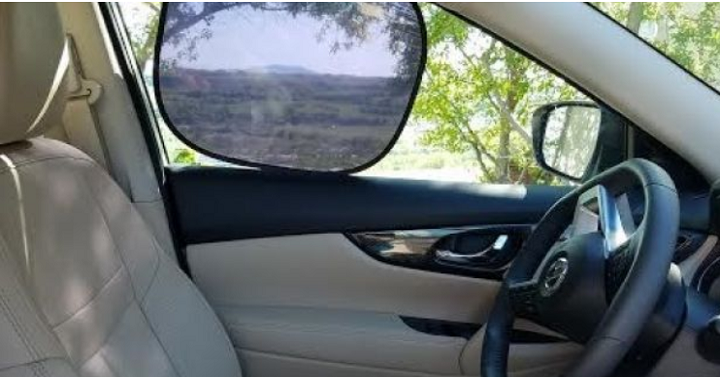 These Reusable Static Car Shades- 2 Pack- are Only $3.99! (Reg. $15). These durable, pop open/ soft twist frames fold easily for storage and when you are ready for some shade, just pop them open and they are ready to stick to most vehicles. Uses Static electric and atmospheric pressure to absorb on the window, not relying on adhesive tape.